Legal definition of ‘Gambling’: The act of wagering money or something of value on an event with an uncertain outcome. What does this have to do with anything, you might ask. Now, I’m not talking about playing Slots in Fallout: New Vegas or Blackjack in Red Dead Redemption, but I’m talking about actual real life money; Pounds, Dollars, Euros, Yuen, you get the point. Counter-Strike: Global Offensive, a popular Valve-made, Online First Person Shooter game where a team of 5 Terrorists fight against a team of 5 Counter Terrorists to destroy a bombsite, is probably the biggest offender of gambling within a video game. Those who play or are aware of CS:GO likely know what I have to say. You guessed it, cases. 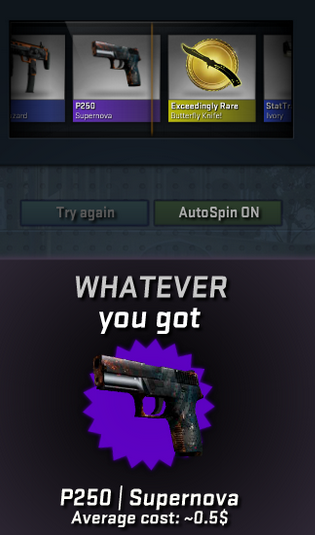 For those unfamiliar, cases are droppable (after a game) chances to get rare and expensive weapon skins with a very small chance to unbox a knife. Knives are where it’s at for some people, and being worth up to about £250, it’s hard to see why you wouldn’t open a case every now and again. There is a catch to cases though, they must be opened with a ‘key’ which you purchase directly from Steam at a price of around £1.50. Depending on the rarity and the quality of the weapon skin (with quality referring to how worn the skin is on the weapon), each skin has a value, Military-Spec being the lowest and Covert & Covert Knives having the highest values. StatTrak weapon skins are also worth a mention. StatTrak skins are like normal skins but they have a small digital counter on the side of the weapon which keeps track of all the kills you’ve gained while using it. StatTrack weapons are often worth a little more than their normal renditions. Using an online case opening simulator, I opened 100 ‘Operation Vanguard’ cases taking prices from the Steam community market with cases costing $0.02 and keys costing $2.49. In the simulator, I spent $251 (£162) and in return I received $73 (£47) back in worth of skins. The highest value skin I got was worth roughly $9 (Just under £6) which was a StatTrack M4A1-S Basilisk. These are the results of opening 100 'Operation Vanguard' cases. 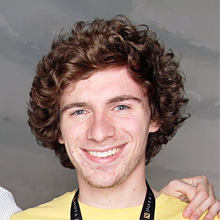 If i’m not playing Dota 2 or CS:GO, you’re most likely to find me somewhere on Twitch.tv. I’ve probably watched hundreds of hours of Twitch TV streams over the past few years, seeing professional gamers play Counter Strike, Dota 2 and even Starcraft II (which to this day, I still have not won a solo game) to educate myself for ways of becoming better and finding new techniques to out-skill opponents. I really enjoy seeing personalities such as HattonGames and Miss_Rage play CS:GO however as of recent it seems that these cases that I mentioned earlier are becoming increasingly more popular with streamers to the point where most of the stream is just somebody opening cases. Before you raise your points, I understand that many popular streamers have disposable income to spend on keys and they often create giveaways to their viewers as a thank you for watching. However, there are also some less popular CS:GO streamers who are trying to become ‘CS:GO rich’ or just want a knife at a cheaper price. These are the people who may not have so much disposable income, but are instead somewhat addicted to gambling. 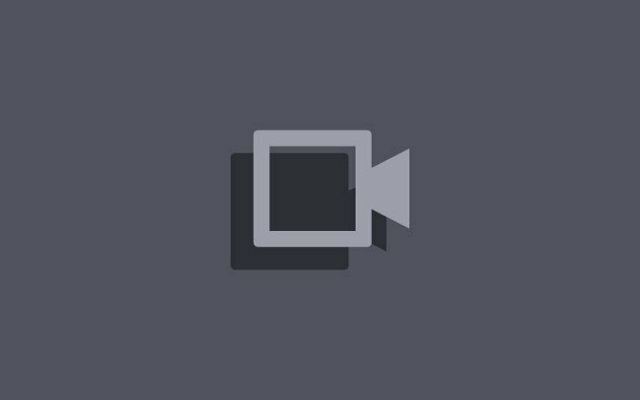 As I’ve already shared my idea of case opening and gambling, I wanted to say how I feel about people live-streaming themselves opening cases. I recently watched a streamer put around 200€ of Steam credit (Nearly £147) in increments of 20€ into case opening over a 20 minute period. £147 is a large amount of money, enough to buy you a Razer BlackWidow Chroma keyboard. Personally I’ve spent £8.57 in CS:GO on opening cases and I think that I’ve had a return value of around £6, not quite what I was hoping for but I guess you never will get a valuable item if you never try, right? It does seem that I’m only talking about Counter-Strike here but that is because CS:GO is just such a strong example. Although not so much anymore, Dota 2 was very similar to this. After completing a match, it wasn’t uncommon for a player to win a treasure that similarly could be opened with the use of a £1.59 key. What Valve did differently with chests in Dota 2, was instead of having single items drop, they actually had whole sets of items in each treasure which could not be repeatedly collected. In other words, if Valve did something like this in CS:GO where having sets of skins for a few weapons instead of single skins, gambling wouldn’t be so much of an issue like it is now. 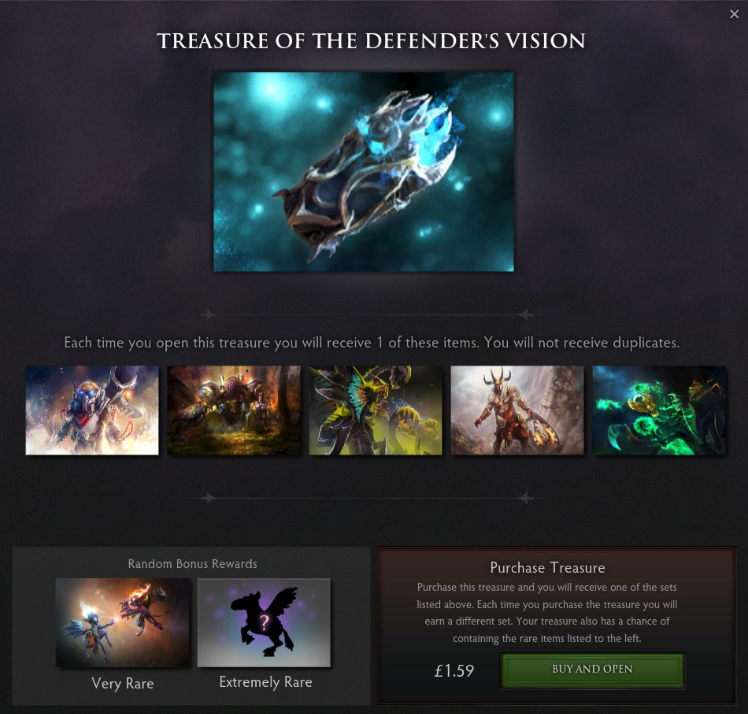 What I like about how Dota has handled the situation is that now, when a new treasure comes out with a few different cosmetic item sets that I like, I’ll get it because there aren’t any different rarities or values (other than the Legendary set or courier) and I like them equally, meaning that the user won’t be spending hundred of dollars trying to get a specific item. Dota's solution ensures that we do not get duplicates so each set can be obtained. Inside the chests were cosmetic items, some worth up to £100. As for Team Fortress 2, it’s the same situation as before, get crates after a game, pay to open them with a chance of receiving a valuable item (or hat!). Valve seem to like this idea, it’s making them money. A lot of it. Now again, I’m not going to judge how people spend their money, however I do believe that perhaps Twitch or Valve should take some action against case opening live on stream, as afterall, the act should be classified as gambling. The Twitch terms of service says that their service isn’t available to those under the age of 13, whereas CS:GO has an ESRB rating of Mature (17+). I know that this isn’t going to stop those under 17 purchasing and watching CS:GO games, let’s face it, there isn’t a great load Valve can do about this, but for most places for gambling persons are required to be of at least 18 years of age. This leads me on to why I think Valve and Twitch should recognise case opening as gambling. Under the Gambling Act 2005, it would be debatable to say that if CS:GO case opening would be in the form of a physical gaming machine, it would fall in Category 4B. Category 4B is classified as an adult gaming machine. This is because of a maximum stake of £2 (A CS:GO Key costing around £1.50) and a maximum prize of £400 (Most expensive knife on the Steam Market being worth £265). In this case, a ‘child’ is a person age 15 and below and ‘young person’ accounts for persons under 18. 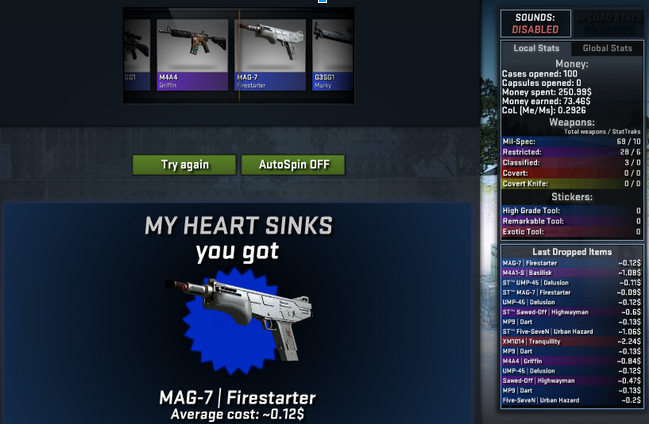 I appreciate that Streamers don’t actively try to encourage the younger gamers to open cases, nor do they actively bring gambling to the attention of young persons, however as a young person myself (17), I can confirm that after watching a Streamer open a couple of cases with good drops, I have myself felt an urge to spend £1.50 to get a cool weapon skin, or even better, a knife. I consider myself to not be too easily influenced by things like this, though I’m still not sure why I would want to spend real money to have it locked into Steam to be likely returned in the form of a field-tested ‘MP7 Skulls’. What can be done about this though? Well in all honesty, I don’t think there’s a lot that either Steam or Twitch are able to do to restrict or disallow gambling from players under the age of 18. Perhaps something that could be done for Steam is to have users input their birthday when registering an account for Steam so that in-game purchasing is disabled until the age of 18, like how the Diablo 3 real money auction house worked. Since Valve is a company, and companies make money, it’s easy to see why they haven’t already had these cases and crates and whatever else they are called in differnt games restricted. Something that could be put in place is a restriction to have a set number of cases that can be opened during a week or a month, which would stop users from spending so much time and money gambling. Twitch might be a little more difficult to restrict since it does not require a login to view streams. The Terms of Service Policy by Twitch could easily be changed to require an account user to have a certain age before letting them view games which have real money gambling elements but I could can see people creating other accounts to dodge the restriction. So what if games which have these gambling elements are covered by the Gambling Act? Well first, games covered by this act would obviously need to be restricted, It would be unfair to stop case opening all together, but at the same time something should needs to be done. I don’t want to hear stories of people losing their savings because they are addicted to gambling for internet knives. Oh well, maybe next case, right?